A lot of people now have begun to lift heavy and safety has become an important issue. One way to ensure that the weights you use stay on the barbell is by using collars. A collar of the right size will ensure that you will have a stress free lifting experience without worrying about weights moving about or sometimes even breaking loose. There are several reasons to have a barbell collar, let’s take a look at some of them. Keeps weights from moving during lifts, which ensures no injuries for the lifter. It increases stability and balance to lift even heavier loads. We all need them. Collars hold the plates on the bar so well, and they are dirt cheap and well suited for any garage gym. But, over time, they lose their ability to hold on to the bar and hence need to be replaced constantly. Apart from being inexpensive, the classic spring collars do not have too many advantages to boast of. Over time, they are hard to be removed and fitted back on the bar and they are not appropriate for all bars. But if you have grooved sleeves, then spring collars are a great choice because they hold on to the bar so well. Just ensure that you remove them from the bar after use. This will help prevent the loss of chrome or zinc coating on the bar. 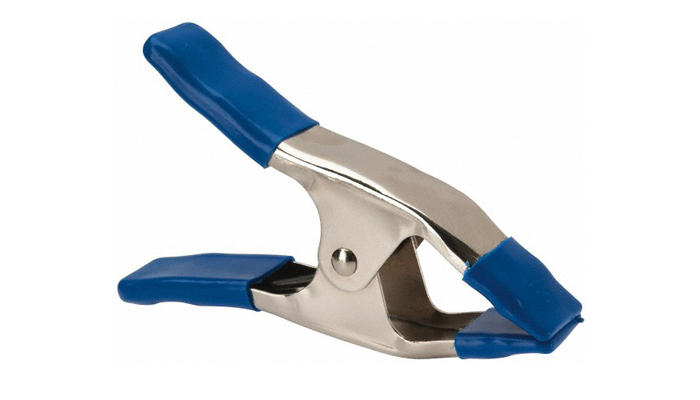 If you prefer something cheaper than spring collars, then a pair of 2″ spring clamps could be your best choice. Whether they are a better alternative to collars is something you’ll find out when you start using them. But, I use spring collars in my garage gym and haven’t tried clamps. For those who do not prefer spring collars, lockjaw pro collars are an obvious choice. They are easy to work with, they smoothly fit in the bar and stay locked up even when the bar is dropped. They don’t scratch the bar sleeves either. These are some great plus points. Also, they fit in well in some branded bars where spring collars don’t. You can find lockjaw pro collars at great prices online or at the stores. If you are buying them from online stores, then make sure to check out the size because the standard barbell equipment comes in both 1” and 2” and looks very much similar to HG collars at first glance. Make sure to check the dimension before ordering them. On the other hand, you could also check out the Metal HG Collars offered by Rogue. They are actually crafted using metal but come with a plastic coating so they don’t scratch the bars. 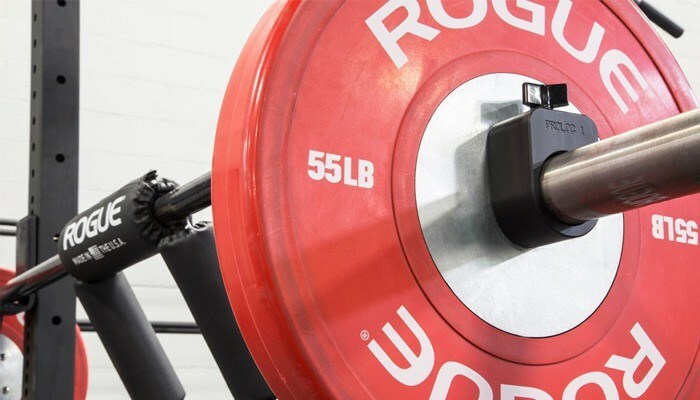 Rogue doesn’t disclose the exact weight of their metal collars (which isn’t a great excuse) but many online reviews suggest that these equipment are reliable. It’s not easy to say which is best – HG/Lockjaw collar or Rogue’s Metal HG collars but you always have the extra option to choose between the two. Muscle Clamps have quickly become the clamps of choice for many gym owners. They are lightweight, come with a high pressure lock for extreme safety, and they don’t scratch up the bars. Look wise, they are more stylish than the other clamps and they actually hold very well too. But, if there is too many bar ditching, you better not use them. Unlike spring collars, they tend to open when the bar is dropped. 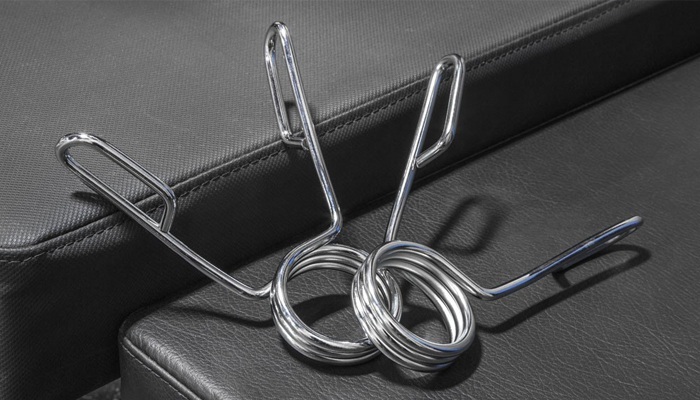 But because the Muscle Clamps are reliable and easy to use, they are widely used in commercial gym settings. As you might be aware, most gyms do not allow bar ditching, so these clamps make an ideal choice in such settings. I have a few of these in my garage gym. Mostly, I use them for benches and squats. 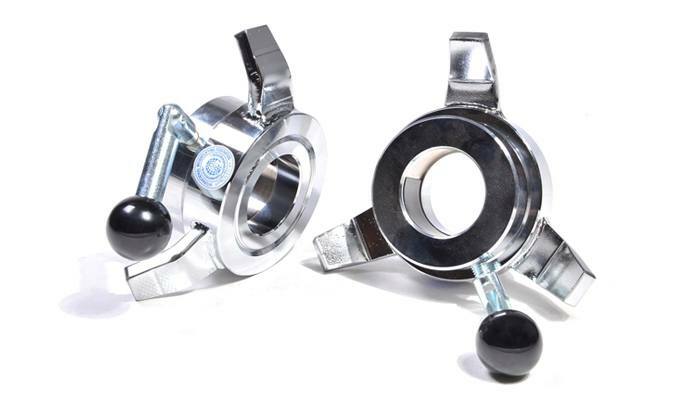 If you prefer black Muscle Clamps, check out the ones offered by Rogue. Proloc Collars are great. In fact, they are better than spring collars when it comes to holding bigger weights. They are easy to use and they even fit well in cambered bars, logs, and Swiss bars (that is, if their size is between 1.937″ and 2.007″). The cost of black and red Proloc collars is quite affordable. A higher-end version of these collars is Proloc 2 Collars that feature a pair of 5/8” carabiner to hold the handing chains. The chains provide an extra provision to add more chains if you wish. A lot of garage gym owners prefer Swiss bars, the farmer’s handles, axles, and several others that come with a sleeve size of 1.9”. if you are on the lookout for a modern alternative for these collars, then look no further than Metal Axle Collars offered by Rogue. They hold on to specialty bars pretty tightly, but not on the regular bars that come in 2” size (that’s about 3mm bigger than specialty bars). The features of Rogue’s Metal Axle Collars are pretty much similar to that of the HG collars which we saw earlier. However, before ordering them please keep in mind that they don’t fit well on any standard barbell, not even your regular Olympic barbell. If you felt that Rogue’s metal collars are a bit pricier for your home gym, then you’d be happy to check out Strongman pipe collars. They are nothing but a steel pipe welded to a bolt at both ends to hold the plates tightly on the bar. However, if you are using bars made of chrome or zinc, then you better not use these collars because they will scratch the surface badly. I’m using Black Widow for my farmer handles. But, I admit they aren’t the best alternative to a real Olympic bar. Make sure to compare and choose the best for your garage gym. Either ways, they are easier to use on specialty bars. I openly admit, I haven’t used these collars nor would I because I have better options. But I’m including them here just to give you more options so that you can dig out more information and choose the best one for your needs. I came across some online reviews saying strap collars for barbells work but also stating that they are not as good as spring collars. The only plus point of strap collars is that they are easy to work with. If your regular collars don’t work, then you could use these as substitutes. But technically, they aren’t as good as spring collars. 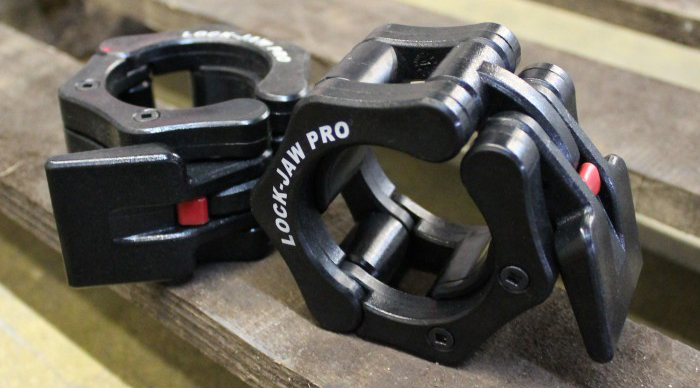 If you are looking for better alternatives in the same price range then make sure to check out Muscle Clamps and Lockjaw. These are the real collars. i.e. the ones that belong to the higher end of the collar family. They are expensive, but they are far more superior than other collars when it comes to holding strongly to the bar and not scratching on their surface. With these collars on your bar, you know what you’re lifting! 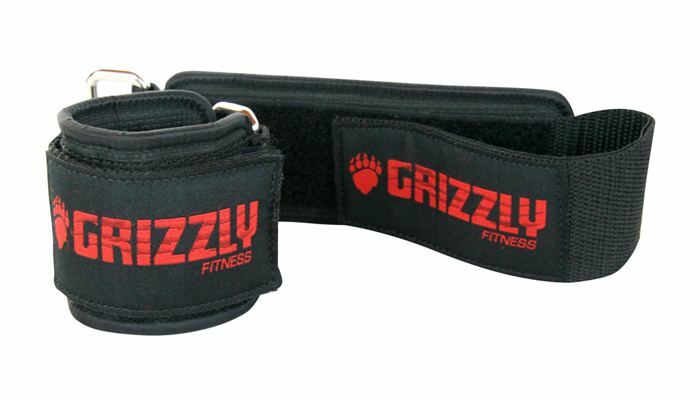 They are competition collars but they look cool and stylish on your barbell. If you are using cheap garage gym barbells, then do not care about investing in higher end competition collars because they are suited only for higher end equipment. IWF-standard barbells sleeves come in the size range of 49.5 mm to 50 mm. The opening (or insert) of competition collars are about 50.2 mm to 50.8 mm in diameter (1.976” to 2”). IWF-standard barbells sleeves come in the size range of 49.5 mm to 50 mm. The opening (or insert) of coI also came across cheap box-store bars (also known as 2” Olympic Barbells) on a lot of forums. But the problem with them is that they are a bit bigger at 2” and sometimes they are not designed to strict dimensions. They are thicker than 2”.mpetition collars are about 50.2 mm to 50.8 mm in diameter (1.976” to 2”). If you own a low-profile 2” box-store bar, then do not think about investing in any of the competition collars or bumpers. Stick to the regular muscle clamps, spring collars, and lockjaw collars for your non-specialty bars. Ivanko sells specialty weighted collars in kilograms and pounds for professional use. Since most of the competition collars are measured in kilograms, it actually looks like a good move by the manufacturers to introduce their equipment in kilograms. So even if you are pound lifter, you can still get real collars. However, none of Ivanko collars are approved by IWF.The Ivanko Kilo Pressure Collars are made using iron and are designed to fit into any IWF-approved competition barbell. They are triple chromed and have a nickel base. Each chrome weighs about 2.5 kg and is priced competitively. The Ivanko Chrome Training Collars are very much the same as the Kilo Pressure collars with the main difference being that weight is measured in pounds (2.5 pounds per collar). Another distinguishing factor is the appearance. The Chrome Training collars look better than their counterparts. Bulldog Collars have their own advantages as well as disadvantages. On the upside, they are composed of steel hardware and aluminum body that sports a funky look. They come with a five year warranty, so you can choose them for long-term use. However, on the downside, many users have complained about constant tightening to prevent them from loosening up. They might be a bit expensive for garage gyms when you look at their cost. 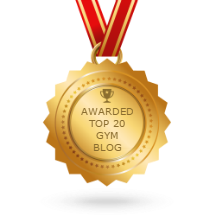 Moreover, the weight of the collar is something many non-competitive gym owners wouldn’t want to go with. They are a bit harder to work with than the regular collars. Also the fact that they do not fit in specialty bars make them a poor choice for gym owners. Let’s talk about high-quality collars. The Eleiko Competition collars are approved by IWF. They are chrome plated and have a foldable handle that make it easy to add more weights on the bar. These collars weigh in at 2.5 kg per piece and they can be easily fixed and removed from the bar. These expensive collars is come as pairs and also with a two-year warranty. If you prefer the same brand for a lesser price, then check out the non-IWF certified collars offered by the sellers at lesser cost per pair. Eleiko even makes powerlifting training collars. So, you can check all three and choose the one that you prefer. Uesaka Sevi comp collars sport a trendy, super cool look. They are IWF-approved and weigh exactly the same as Eleiko’s competition collars. A hard, shiny chrome finish and an air-tight lock are a couple of noticeable characteristics of these collars. They come with a 5-year warranty, which is three years more than Eleiko. So, on a long-term basis, Uesaka are a better choice than Eleiko. These are pretty nice collars any fitness freak would love to work with in the gym. Every barbell that is approved by the IWF and IPF weighs 2.5 kg per per pair, and magnetic versions are available too. In contrary to what most people think, the competition collars offered by Eleiko and Uesaka aren’t the costliest. Other popular brands to purchase comp collars include Leoko, WerkSan, DHS, and ZKC. It’s always a good idea to invest in chain-ready collars (Proloc collars are a great value for money) and then get in touch with a Tractor supply company or visit your local hardware store to buy the chains. Nevertheless, going for ready made chain collars is a better option because it saves you a lot of time travelling to different outlets to get your equipment. Take a look at the picture here; this Ader set comes with three pairs of chains and it available in black oxide coating and zinc coating – so you can choose your preferred piece. The chains are typically 5’ long each so you will find a lot easier to pull them up and even down while lifting. That’s the kind of collar set most users love too. The best thing about these is that you do not have to exchange chains on collars because every chain is attached to a collar already. Easy, isn’t it? Click here if you love zinc set, and click here if you wish to check out black oxide. They are also available in pairs, so you can buy the one that you prefer. However, one disadvantage of using these collars sets over the Proloc sets is that you can only use multiple plates and chain collars on the sleeve. You’ll have to get adjusted to it. These aren’t the actual collars. I just saw them at a local gym and thought felt they would be a great alternative to the hanging kettlebells with resistance bands. However, I am not too sure how suspending weights from a bar could be really useful when working out but I would guess that the instability can prove to be beneficial when you’re focusing on the muscles from a certain degree. I came across various other random collars at the same gym, but they were kind of similar to one of the collars that I have just mentioned above. Probably, a few cosmetic differences here and there or they belonged to different brands. Anyways, there was not much of a difference between them. I have pretty much covered everything I found at online and offline stores and gyms. If you can’t find something from the list above, then it’s tough to find something for your requirement on the market. If you wish to invest in professional 2.5kg collars for your own use, then you’d be better off checking out Ivanko. However, if you prefer collars for any particular event, then check out Uesaka or Eleiko or any other IWF-approved brand that inspires you. When it comes to specialty bars, the options are actually limited. One that I prefer the most is the Rogue Axles. If you ask me for an alternative, I would suggest Prolocs. I am not a big fan of screws and turning knobs, by the way.